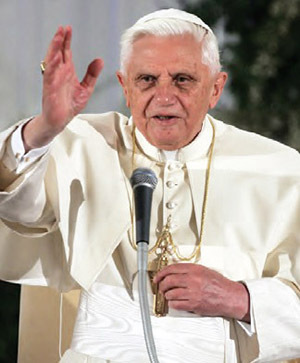 On Oct. 7, 2012, Pope Benedict XVI officially named St. Juan de Ávila a Doctor of the Church. In a homily given to the Pontifical Spanish College of St. Joseph in Rome in May of that year, Pope Benedict described Juan de Ávila as a holy parish priest with profound knowledge of “sacred Scripture, of the Holy Fathers, of the Councils, of the liturgical sources and of healthy theology, together with his faithful and filial love of the Church, which made him an authentic innovator, at a difficult time in the history of the Church.” St. Juan de Ávila played an important role in the spiritual renewal and reform of the Catholic Church in the 16th century, and his influence continues even until today. This little-known saint was declared the patron saint of diocesan priests in Spain on July 2, 1946, by Pope Pius XII, and then on May 31, 1970, he was canonized by Pope Paul VI. Like St. John Vianney, he is a wonderful model for secular priests, as he worked tirelessly in pastoral activity for the conversion and sanctification of his flock. He also was involved in teaching and forming seminarians and priests. Along with being a trusted parish priest, confessor, spiritual director, catechist and theologian, he was a great spiritual writer whose best-known works include Audi, Filia (“Listen, Daughter”), a guide to the spiritual life, and the “Treatise on the Priesthood” — two works that are still pertinent today in our secular world. Most English-speaking priests and laity never have heard of St. Juan de Ávila, despite his great impact on Catholicism and the priesthood. Juan de Ávila was born on the feast of the Epiphany in 1499 in Ciudad Real in central Spain. He came from a wealthy Catholic family, even though his father’s family had Jewish roots. So the members of Juan de Ávila’s family were considered “new Christians,” even several generations after they had entered the Church. The “old Christians,” in fact, harbored suspicion and hatred toward these Jewish converts. Tradition holds that Juan de Ávila was born miraculously when his parents were older and after they had resigned themselves to having no children. In fact, his extraordinary birth is the direct result of prayers offered during a pilgrimage made by his parents in honor of St. Bridget. In 1513, Juan de Ávila was accepted to study law at the prestigious university in Salamanca, Spain. At school, he had a serious conversion and began to follow a life of prayer and penance. After returning home without completing his studies, by the urging of a Franciscan priest, St. Juan went to the University of Alcalá where he studied philosophy and theology from 1520 to 1526 with plans to become a priest. While studying at the university, Ávila formed great friendships with fellow students, who later would become bishops and archbishops of the Church. One of Ávila’s first followers was a gentleman known as Pedro Fernandez de Cordoba, whose sister, Doña Sancha Carrillo, only 14 years old at the time, wanted to begin a life of prayer under his guidance. She was one of Queen Isabella’s ladies-in-waiting; so, as a result, Father Juan de Ávila became one of the most famous spiritual directors of his time. In fact, St. Juan was in contact through letters with the future St. Teresa of Ávila, teaching her how to progress in her spiritual life. Audi, Filia was originally written for this young lady, Doña Sancha Carrillo, but throughout his life Ávila continued revising it, providing a way of life for any Catholic who desires to follow Christ and his Church. The title of the work is derived from Psalm 45 — “Listen, O daughter” — in which a woman is exhorted to pay attention to God. However, it is not a commentary on these Scripture verses, but a tract on the spiritual life. In the work, Ávila encourages a woman about being an active disciple of Christ. He urges her to begin a spiritual life by listening to how the word of God is heard as early as our baptism, where the rite of opening our ears is found. After being told to hear, then we are told to see, as we incline our ear to God’s word and works. He continues by writing how prayers, contemplation, penance and the seeing of God’s mercy are required for a holy spiritual life. After his release, Ávila was sent by the bishop to Cordoba, where he directed his flock, preached in various churches and established schools and colleges. During this time Ávila received the title “Master in Sacred Theology.” This title of “Master” is usually bestowed on one in academia; however, in Andalusia the name suggests a priest who is preacher, teacher and director of souls. In 1538, Pope Paul III established the University of Baeza, a seminary. Juan de Ávila was named the first rector of the university, which would become a model for seminaries throughout the world. Juan de Ávila had a great love for the priesthood. He was the spiritual director of many priests and wrote treatises about their ministry and life. He often gave retreats, conferences and sermons to priests about their vocation, especially emphasizing a reform of the clergy at all levels to make the Church more orthodox. In 1545, Juan de Ávila was invited to attend the Council of Trent as an expert in theology, but he declined due to ill health. However, he did write three systematic documents for his friends who were attending Trent. The first is titled the “Reform of the Ecclesiastical State,” which is a guide to reform the clergy. 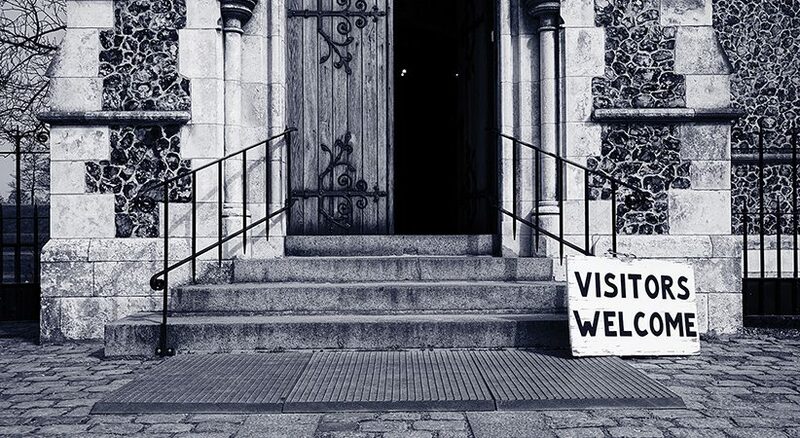 The second work, “Causes and Remedies of Heresies,” calls for a reform of the Church at all levels — including the papacy and episcopacy. His third work was “Treatise on the Priesthood,” which covers the life, work and prayers of being a priest. These three works provide a view of St. Juan’s theology on the priesthood and his vision for its reform. He stressed that there were two problems pertinent to the reform of the priesthood: the acceptance of men not suitable to be priests and poor formation given to seminarians. He stressed that bishops should base their acceptance of candidates on their willingness to engage in studies on theology and philosophy, and also that they have an interest in the developing of a spiritual life. Renewal of the priesthood for him demanded the priest’s conformity to Christ as Good Shepherd and the High Priesthood, virtues pertinent to being a parish priest. The holiness of the Church depended on the sanctity of the priests. Perhaps the most important proposal Juan de Ávila recommended was the establishment of seminaries to educate and form future priests. Juan’s program for priestly formation had a profound influence on the Council of Trent. He was influenced by St. Jerome, who founded a monastery for the training of priests in the fourth century outside of Milan, Italy, where they could live in community away from the pleasures and distractions of the world. The classes to be studied proposed by St. Juan included grammar, Church doctrine, sacred Scripture and what St. Gregory called “the arts of arts” — the encouraging of the faithful to serve the poor. In his works, St. Juan emphasized the value of fraternity among priests and the importance of an intellectual life for their vocation. “[St. Juan] had an essential role in the historical development of a systematic doctrine on the priesthood. Down the centuries his writings have been a source of inspiration for priestly spirituality and even a current of mysticism among secular priests. His influence can clearly be seen in a number of later spiritual writers. The many ideas proposed by St. Juan in the “Treatise of the Priesthood” have become a vital part of the Church’s ongoing life. Seminaries were formed by the foresight of such intellectuals as St. Juan de Ávila. This saint has much to offer today for all persons but especially for parish priests, as the Catholic Church strives to reform and renew the priesthood in a post-Second Vatican Council era. St. Juan was persistent in the necessary life of study and spiritual formation for seminarians. He insisted that their classes must include the study of sacred Scripture, the Church’s teachings and many different spiritual writers. He also recommended that priests continue to study and improve their intellectual and spiritual life even after ordination. He detailed the virtues and talents needed for the priesthood and the vital role of the priest in evangelization, sanctification and salvation of souls. 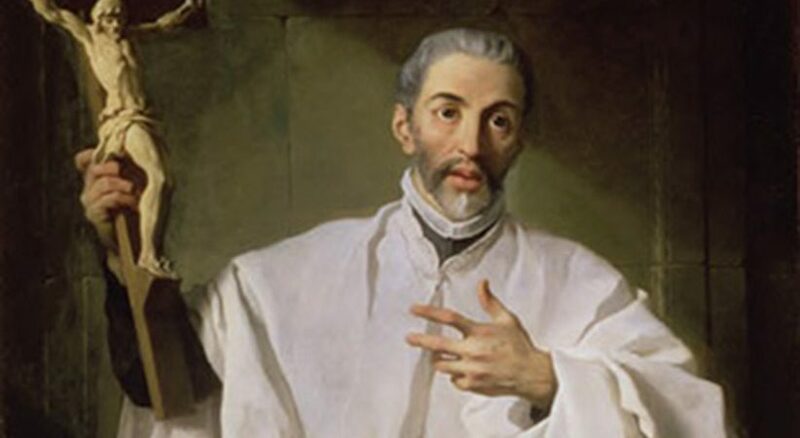 St. Juan de Ávila is among the newest Doctors of the Church — a holy man who in our world is still very relevant today. He is a powerful saint who was a parish priest and, like St. John Vianney, a saint everyone should know and a saint to whom we should pray for our seminarians and priests, whose vocation is to help sanctify the world. 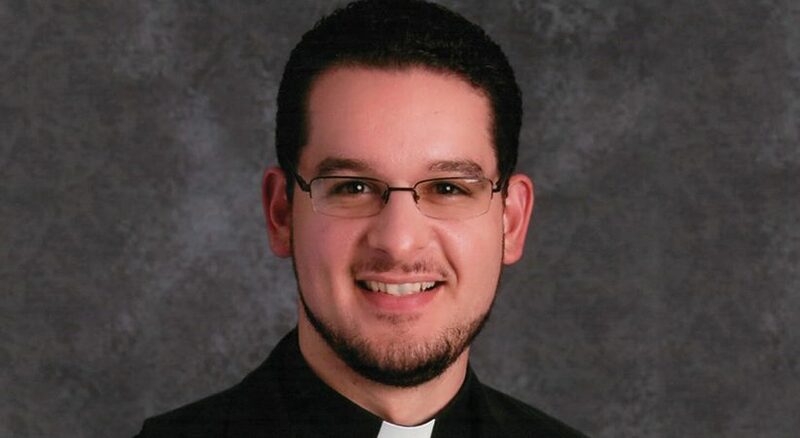 FATHER GUS PULEO is pastor of St. Patrick Parish in Norristown, Pennsylvania, and an adjunct faculty member of Spanish at St. Charles Borromeo Seminary in Wynnewood, Pennsylvania.